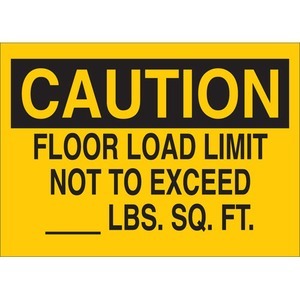 CAUTION, FLOOR LOAD LIMIT NOT TO EXCEED _LBS. SQ. FT.